Posts Tagged as "what parents of math-confident children secretly do that typical parents don’t"
4. Math-masterful parents are focused on the long-term process of mastery. Typical parents focus on just getting math over with. Math is so stressful that they just want to help their kids complete their homework assignments as quickly as possible. But this never gets below the surface to the actual root problems that are causing the math anxiety and stress. In contrast, math-masterful parents focus on whether their child is deeply understanding and internalizing the material, not just getting their homework done. As part of this, math-masterful parents are proactive, not reactive. Instead of being in crisis mode, waiting to see if they have math issues, scheduling support only around tests, or reacting to the artificial rhythms of the school year, these parents put support in place consistently and let their child’s mastery needs set the pace. Like athletes or performing artists, math-masterful families train consistently. 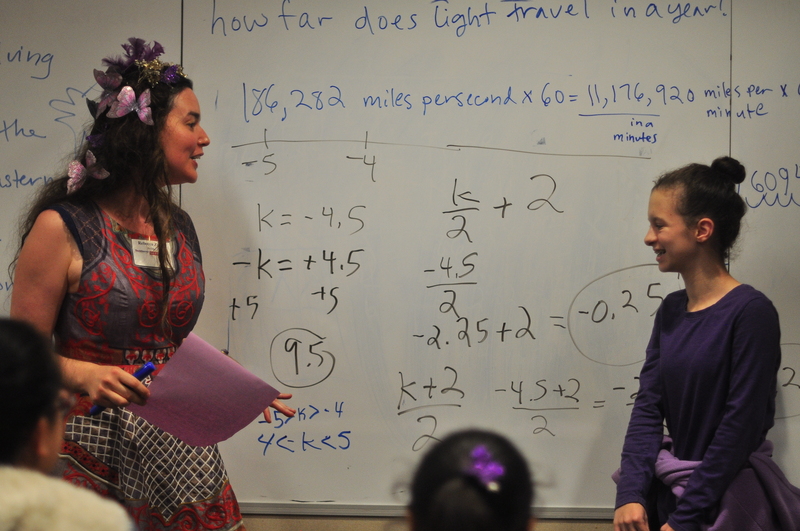 They still take breaks and vacations, but use holidays and summer breaks as a powerful secret compartment to catch up, get ahead, and stay connected to math—to enjoy math on their own terms. This consistent training develops their own inner math sanctuary that supports them, once they’re back from vacation, no matter what is going on in their classroom or curriculum. And because they invest this time and energy in consistent math mastery training, they end up having a much more relaxed and happy school year, because their child is actually confident and prepared. As a quick example of this, one family came to me towards the end of 5th grade after years of struggling with math and not getting what they needed from typical tutoring. We worked together throughout the summer between 5th and 6th grade—still taking some breaks, but making sure that this student was really connecting to math and loving it. Her first day back of 6th grade, this student was the only kid in the room who knew what the commutative property was, and nailed question after question after question until her teacher just started laughing! More recently, a student and I used her spring break as an opportunity to get ahead and really understand logarithms. Just a few days ago she told me that she was the only student in her class who actually understood them. And her mom now experiences her daughter’s school vacations as much more relaxing, because there’s no more math dread. Do you wish your child could go through this same transformation? Just fill out this application here. As soon as your application is received and reviewed, I’ll reach out to schedule a special appointment for us to connect on the phone and get clear on how I could best support your family. There’s a very specific set of PARENT beliefs and behaviors that allows a child to actually go through this life-changing transformation from math freakout to math mastery. But most parents don’t know about these beliefs and behaviors – and don’t fully understand what a child in math crisis actually needs to become math-confident. So I am on a mission to educate parents about this! 3. Math-masterful parents recognize when it’s time to bring in outside support. Typical parents do not recognize when their help is no longer moving their child forward. They tend to deny it, or overcompensate for it. Other typical parents will just continue to acquire more and more information, believing that if they just get the right workbook or alternate curriculum, somehow it will mean they’re suddenly able to connect with their kid. or “I just need to be more positive” (even though they’re completely discouraged). In contrast, math-masterful parents recognize when it’s time to bring in outside support. For example, a parent came to me because she was locked in a toxic math dynamic with her daughter. Her daughter refused to do her math homework unless she was sitting next to her mom, but was so anxious that she would trigger her mom’s frustration, and then, massive guilt. Even though they were working super hard, the daughter’s math grades continued to slide, and she wasn’t truly mastering the material. This mom recognized that she was not the one to help her daughter, and chose to bring me in to break the pattern. Now her daughter happily does her math homework independently, and her mom can literally relax and read a book in another room. Their toxic mother-daughter math dynamic has been totally healed. Would you like to experience this same transformation, from math freakout to math mastery and confidence? I would love to connect with you and explore how I could best support your child to truly love math and experience it as master-able and magical. Once your application is received, I’ll reach out to schedule a special time for us to talk on the phone and get clear on if my work would make sense for your family.